As you know we love binging on Master Chef. Who doesn’t?! Speaking of chefs, you may have seen them or your local butcher running his knife against a menacing steel tool before carving the meat. What’s your guess he’s doing? Most of us would answer sharpening, duh! Well, not exactly, that’s called honing. That begs the question; what is sharpening then? Today we thought we will share our two cents with you on what’s the difference between honing & sharpening, why they are important and when to use these techniques. But first of all you should know how to tell if the knife is sharp enough. For most people, as long as the knife is in one piece, they’ll be fine with it, not realizing that they should be taking some very simple yet distinct measures in order to keep their knives super sharp. There are two very easy ways to determine knife sharpness, you can either slice through a piece of paper while holding it in the air or you can slice through a soft vegetable such as a tomato. A lot of people use often use honing & sharpening interchangeably. In fact, these two are very distinct processes and have their own purpose. Honing is primarily done to “extend” the sharpness of an already sharp knife for as long as possible. Because of the daily use, the edge of the knife is pushed off the center. Although the edge might still be sharp but it will feel dull because of the crooked alignment. Honing essentially corrects this misalignment by the pushing the blade back to the center without taking any metal off of the blade. Sharpening, on the other hand, is the process of breathing a new life into a blade that has gone completely blunt. When a knife is sharpened, a completely new edge is created by taking off the dull metal particles. You see a perfect analogy here would be the difference between brushing your teeth and going to a dentist or changing your car’s oil and going for an engine overhaul. Honing is done much more frequently than sharpening. Honing should be done at least 2 to 3 times a week. A better practice would be to hone before every use to maintain knife sharpness for as long as possible. More importantly, you shouldn’t look at it as a cumbersome chore; you’d actually enjoy it once you get the hang of it. As effective a measure honing is but its effectiveness is for a finite period of time. After continued use of 5-6 months honing will no longer work as the blade will actually blunt. You should sharpen your knives at least every 4-6 months. 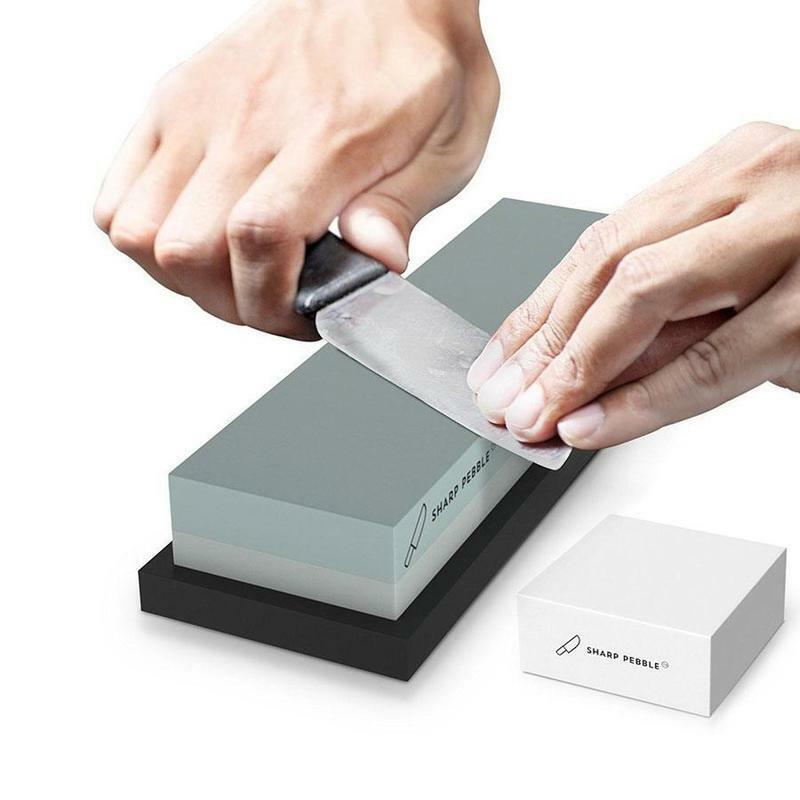 You can take them to a professional knife sharpener or do it yourself by either a pull-through knife sharpener or sharpening whetstones.